Todd has multiple duties within Cornerstone Hospitality. 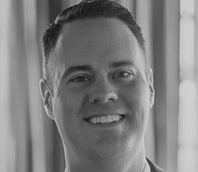 He serves as Hotel Director for the Craddock Terry Hotel, is a member of the Opening Task Force and provides Field Support to our boutique hotel properties. As the Hotel Director since 2011 for Virginia’s first boutique hotel, the Craddock Terry Hotel, Todd has successfully led the property consistently to occupancies over 85% and average daily rates of $50 above the closest competition. He will also play a critical role in the expansion of the property in 2018. Todd is also instrumental in the field onboarding new General Managers and other management leaders as well as acting as a resource for property leaders in all areas of property operations. The Craddock Terry Hotel has won many awards and accolades throughout Todd’s tenure. Most recently, the hotel is the recipient of the 2017 Conde Nast Readers’ Choice Award. This combined with other awards and property performance results, is a testament to Todd’s guest service and asset management expectation of his team and this provides an example for all Cornerstone Hospitality hotel management leaders.